As the New England Patriots and Atlanta Falcons prepare to clash in Super Bowl LI at NRG Stadium in Houston, Texas, we want to take a look at the city that’s hosting this year’s Super Bowl and its sports history. 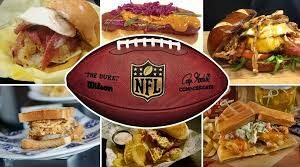 The first time Texas hosted the Super Bowl it took place in Houston in 1974, for Super Bowl VIII when the Miami Dolphins defeated the Minnesota Vikings 24-7 in a rainy game at Rice Stadium. The event registered an attendance of over 71,000 fans, with an average ticket price of $15 and there was no halftime show. Thirty years later, the city repeated as Super Bowl hosts. This time it was for Super Bowl XXXVIII, which took place in the brand new and majestic Reliant Stadium. The match featured a thriller between the Patriots and the Carolina Panthers in which the Brady-led Patriots won 32-29 in the closing seconds of the game with a 41-yard field goal by kicker Adam Vinatieri. Although not in Houston, it’s important to note that Arlington and the impressive Cowboys Stadium hosted the Super Bowl XLV, in which the Green Bay Packers beat the Pittsburgh Steelers 31-25. Now, the home of the Texans, renamed NRG stadium, will be for the second time the host, with the coincidence that the Patriots and Tom Brady will be playing here for a second time. 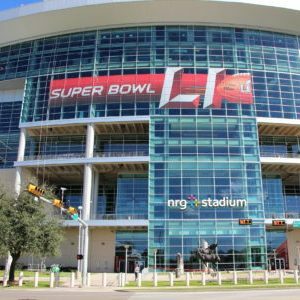 As of February 3 the average price for a Super Bowl LI ticket is around $5000. The City of Houston has teams in several major American sports including the NBA (Rockets, which won the 1994 and 1995 NBA Finals ), MLB (Astros), MLS (Dynamo) and of course the NFL’s Texans, which play at NRG Stadium. The Houston Dymano was the latest team to win a championship for the city of Houston, when they won the MLS Cup in 2006 and 2007, becoming only the second of three teams that have won back-to-back titles in MLS history. Some famous team that used to be based in Houston but have moved away from the city are: The Houston Oilers (NFL, went on to become the Tennessee Titans) and the Houston Aeros (IHL, now the Iowa Wild).